How to make the most out of Apple's spotify-killer music streaming service. Apple have now announced their competitor to Spotify and Tidal. With all the imagination that they spent in naming the Apple Watch, they have christened their new service 'Apple Music', and already people have been signing up on their iPhones, iPads, Macs and PCs to see what all the hullabaloo is about. While the premise does not appear to be anything that we have not seen before; streaming music is something that everyone has got quite used to at this time, whether it be through a designated music service, or even just playing songs from YouTube. 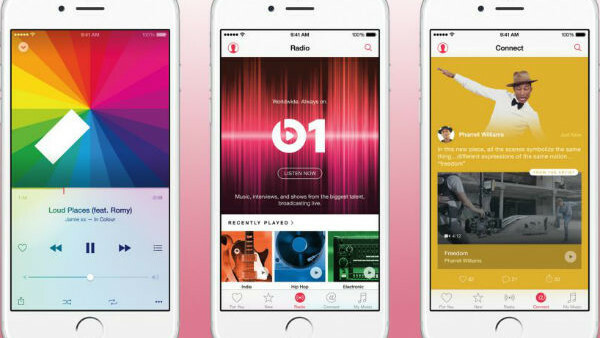 Apple's new radio station, named Beats 1, is still not a particularly unique idea. Online radio services have been around since as early as 1993, when Carl Malamud started the 'Internet Talk Radio' which was the "first computer-radio talk show, each week interviewing a computer expert" - of course that did not feature Zane Lowe as their resident disk jockey, or exclusive tracks from huge artists. While Apple Music is clearly still a work in progress, there are a few thing that new users can play with before the three-month free trial expires in October. Apple are keen to use this extra bit of software to push their own hardware sales, so functionality and usability is going to be their watchwords. Unfortunately, this is easier said than done, and so we've compiled the most important things to look for when using Apple Music, including the stuff that you didn't know was even a part of the program.